I don’t think any one is surprised to see after the Comcast/Netflix deal. 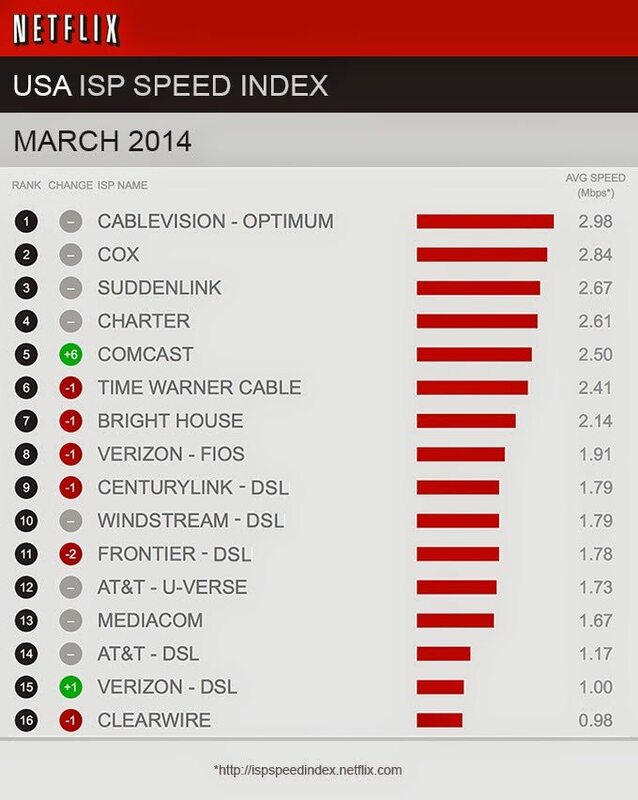 Comcast jumping higher on the list is not unexpected but jumping 6 ISPs in such a short time is surprising. If you ever needed proof that ISPs are throttling Netflix and similar services here it is. “We are dedicated to delivering a great streaming experience and invest in continually improving that experience,” Netflix said. The question is can they afford to pay this to every ISP or even just the major ones and still keep the price down. Only time will tell what will happen next.